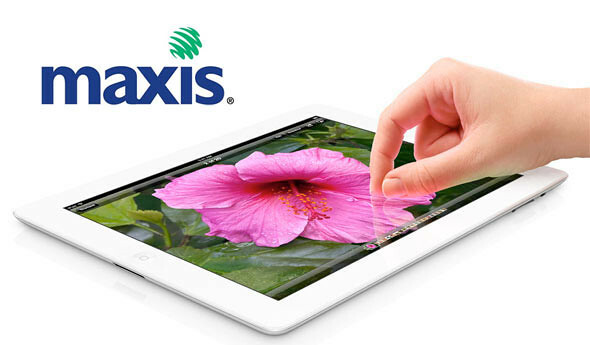 Maxis Berhad recently announced that, beginning 20 April 2012, it will offer a range of attractive data plans for the new iPad. These plans take advantage of Maxis’ recent and widespread network upgrades using “HSPA+ Dual Carrier” technology, doubling the download and websurfing performance previously available. The third generation iPad is a category defining mobile device that features a stunning new Retina display, Apple’s new A5X chip with quad-core graphics and a 5 megapixel iSight camera with advanced optics for capturing amazing photos and 1080p HD video. It also still delivers the same all-day 10 hour battery life while remaining amazingly thin and light. iPad is world-ready, allowing users to connect to fast networks worldwide when they travel.